Clear Skies Is Family Friendly! That’s why Clear Skies Window & Gutter Cleaning obsesses over finding new ways to be even friendlier to your family’s unique needs and challenges. Do you have young children that need a nap in the early afternoon? No problem! We’ll start with their rooms first, and make sure that we don’t clean their windows on the outside until they wake up. 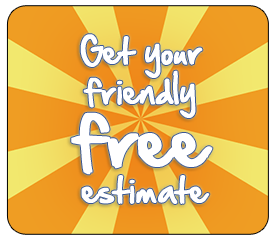 Are you feeling a little shell-shocked from your last “window cleaning contractor”? Lots of strange tattoos? Dirty? Smelly? Rude? Abrupt? A little freaky looking? That’s why Clear Skies Window & Gutter Cleaning has a “technician comportment protocol” in place, ensuring that you always, always, always feel safe and in control, and that your family continues to come first. 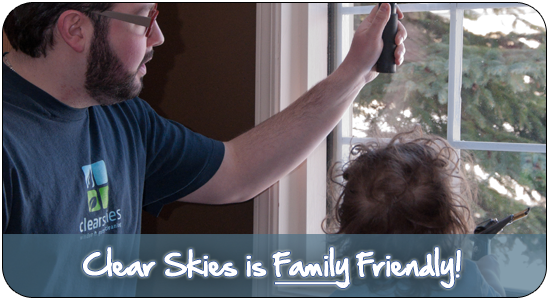 Please call or text 780-995-1181 right now for your free, no obligation estimate, and discover the difference that insisting on the family-friendly window cleaners at Clear Skies Window & Gutter Cleaning can make in your life!